Was there a better run of singles in the 1970s than The Jam's, from "Down In The Tube Station At Midnight" (1978) through "Start!" (1980)? You may have to go back to the brilliant runs on Billboard of the mid 1960s to find a band at such peak form. A pity that Paul Weller felt that this sound—humongous, thrilling, tight, smart, rocking, both in the studio and onstage—was ultimately limiting. 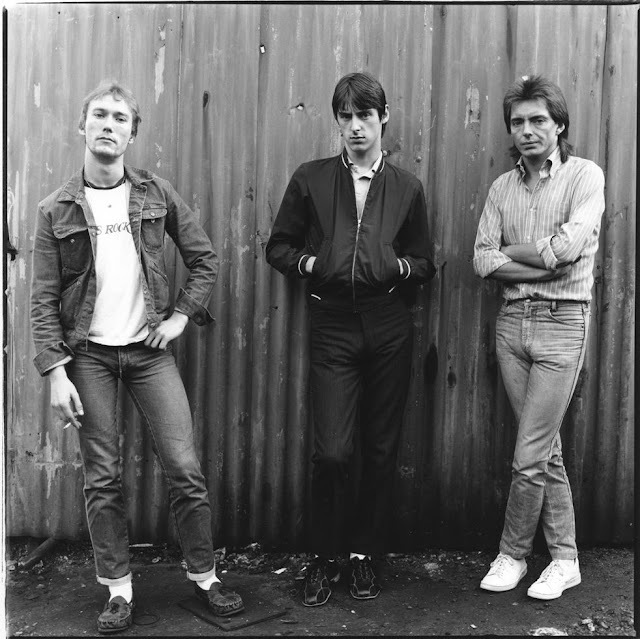 Photo "The Jam, London 1979," by Janette Beckman, via Morrison Hotel.